I have strep throat. It's really not all that much fun. It feels like unnecessary knives in my throat. It's very, very painful. The best part is that I started getting sick in the car, on the drive up to Myanmar. My throat started hurting as we were driving. We went to sleep in Chiang Rai after successfully getting our extensions, with the plan of driving south to see the Charis Children's home the next day. Our finances have been put through the wringer with these unplanned for visa costs, and I actually had to email my mom dearest to ask her to lend me some money. (I don't know why I'm being so ridiculously honest here, except that I have always tried to be honest here, and you have always rewarded me with so much grace.) 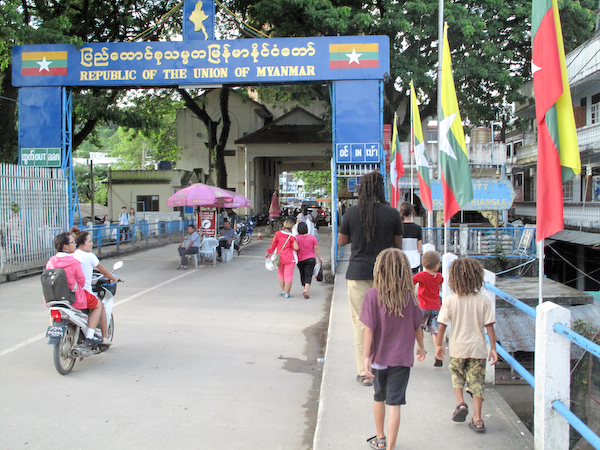 It was a key moment, a real ringer, at the Burmese border with a few dollars in our pockets, sick and weak. I woke up feeling worse, and with each minute that passed, felt a little shakier, a little more sick. We have tried to get to the Children's Home a few times before. I felt that it would just be a joke if we couldn't go now, right before we leave for India. We pressed on. It was so worth it. It didn't take long for our kids to start playing. They were antsy from seven hours in the car the day before, and six hours on this day. They began trying to scale a mud hill. At first the kids from the children's home were content to watch our kids doing it, laughing enough to split their bellies. Our kids played it up, acting like clowns, falling in the mud when they didn't need to. Soon they were coated in it. And then the kids we were visiting joined in. As a mother, I did think of how the woman in charge of the laundry would feel, with everyone's clothes coated in mud. But the grownups seemed content to see everyone having such a good time. I found amazing things, but really, I expected that I would. Beautiful kids. Hardworking passionate people making incredible sacrifices so they can help them. Very simple housing, simple surroundings. Sharing, food put on the table first for us, the guests. I knew there would be great humility. Chala, the man who takes care of all these kids, is humble because the people in the middle of the fight against injustice always are. They can see what they are doing to help, of course. But they can also see the great tidal wave they are up against. And above all, Chala knows he is borne on the everlasting arms, those wide spread wings that will not abandon them. I'm not sure that I knew how much I would be encouraged by these kids. Their laughter and sharing. The hands they kept putting out to help each other scale the muddy cliff. Our ragtag muddy kids and Chinua and I, tired and stressed, sat and soaked it in, and we were oh so glad to be there. We've had difficult times before, Chinua and I. Money troubles come and money troubles go. We are trying to build places of healing for those who have been tossed around by spiritual fads and hearsay. We are trying to build places of meditation. 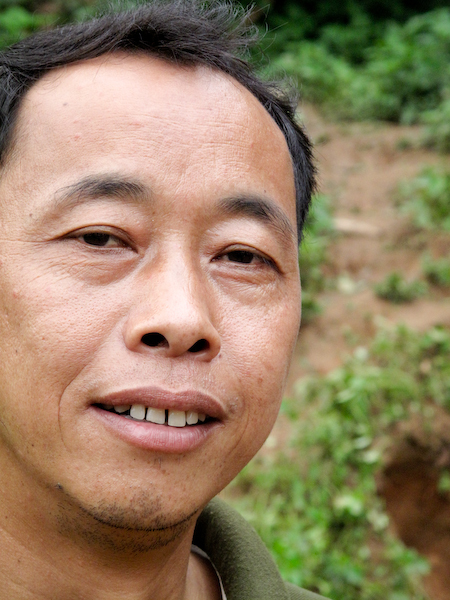 No one said that would be easy, just like no one told Chala it would be easy to take in thirty hilltribe kids in a small village. 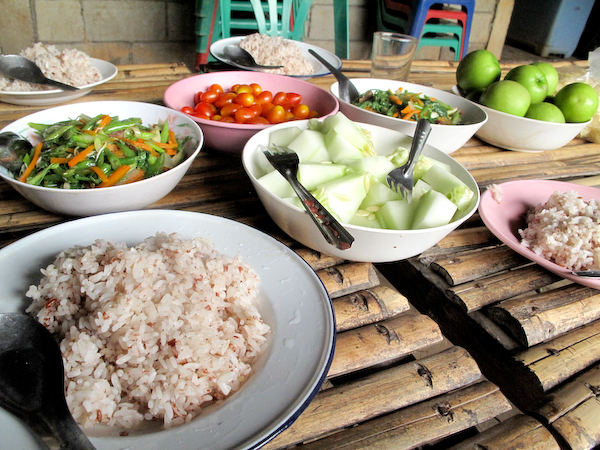 So I, shaky and sick, tried my best to swallow the generous portions of rice and vegetables that they had served us. And I thought about the coming weeks for us, the trains through India, the vision for the next season of our meditation center in Goa. I thought about the coming years, about how crazy Chinua and I are, how we put it all out there and pray for the best. How it could be so easily called foolish. And when Chala took us out to see the land they are planning to build on, I saw the jungle all around, how it will need to be tamed and worked to be fruitful. I looked at all that green and the sky way above, and I saw it all. I saw the work and the future and all the hope. I saw the dreams and the obstacles and the wide possibilities. I saw the kids getting older and forming in the midst of it all. I thought of every child Chala has taken in, of all the children he wishes he could take in. And I thought of these words in Matthew 25: I tell you the truth, whatever you have done for the least of these brothers of mine, you have done for me. Jesus taking the very shape of those in need. To get to them, we often have to step through troubled waters, to truly love, we have to become fully aware of our lack. In building their new home and farm in this bit of jungle, they will form a space that says, "This is where right things happen, this is where love lives. No more will be taken from the lowly." They are making a circle for those who have lost their parents to grief and injustice. That won't come without a cost. It never does. And yet, every day God will give them the strength they need to continue. I have a lot more that I want to share about the Charis Children's Home. More photos, more to tell. They have a need that we can help supply. I'm still sick. And today, I'm truly aware of my lack, and that the coming weeks will take more than I feel I have to give. But for now I'll just rest, and say that I feel very, very blessed.